The purpose of the Paratransit Application is to determine eligibility for Connecticut complementary ADA Paratransit service. If you have a disability that prevents you from using the public transit bus service in Connecticut, you may be eligible for ADA Paratransit service. ADA Paratransit is a shared ride, advanced reservation, origin-to-destination service for persons with disabilities who are unable to use the public bus service because of their disability. To apply for ADA Paratransit eligibility, fill out this form online or contact the regional ADA Paratransit service provider . The Kennedy Center Travel Training is a nationally acclaimed program that teaches people with disabilities and seniors how to properly and safely use the local bus and rail system on a one-to-one basis throughout the state of CT. Since 1991, The Kennedy Center has successfully travel trained more than 3,000 people with cognitive, sensory, and physical disabilities, aged 16-95, to use local buses and trains to access the community. 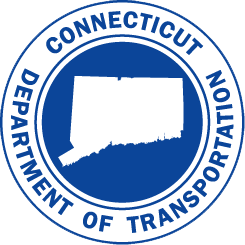 There is no charge for travel training, the program is grant funded by The Connecticut Department of Transportation. Mobility, Choice, Independence: The Benefits of using public transportation for seniors and people with disabilities. Video produced by the Kennedy Center. Copyright © 2002-2014 State of Connecticut. © CTADA, 2014. All rights reserved.